The Arusuvai friendship chain was the brainchild of Latha and Lakshmi of the Yum blog. This chain has become so popular in India. Now Latha of Masala Magic started the chain in USA. 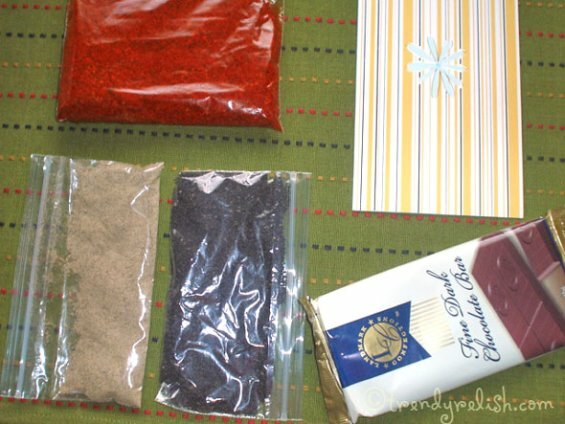 It’s really a pleasure to be a part of this friendship chain where we can send some surprise ingredient to two or more of our blogger friends and they can use that ingredient in their recipes and again pass it on to some other blogger friends. It’s fun doing this. Thanks for inventing such a wonderful concept. Pickle Masala – Oh boy! It looked so red in color and too spicy. It smells so nice that I put a pinch of it in my mouth and it burned my tongue. As I love spicy masalas, I was so happy to get this. But I wasn’t that familiar with certain masalas. So my mind went blank. The only thing was I could guess the ingredients used in that masala correctly, hooray! Previously I thought it was Sambar Masala. But Meera confirmed me it is homemade pickle masala and we can even make an impromptu pickle by cutting raw vegetables, adding masala, lemon juice, and tempering on top and it can be refrigerated for about 2 days. The recipe to prepare this masala can be found in Meera’s blog here and here. "Takmaria" or "Subja" seeds – These are also called Falooda Seeds. According to Meera, they are used in a cold drink called Falooda made with milk & ice cream. I am unable to guess this too as I never saw these black seeds before. A recipe for the Falooda drink can be found in Archy’s Cook Book. That was a wonderful Falooda drink I ever saw. Gujarati tea masala: You know what! I guessed this one correctly. Again hooray to me! It has sunth (dry ginger), black pepper, cloves, etc. 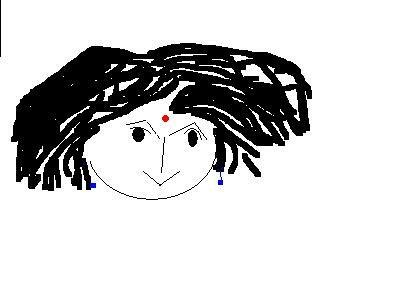 as confirmed by Meera. Thank you much for all the goodies, Meera! My kids loved the chocolate bar so much they asked me to convey thanks to you! I thought of using these ingredients in a different way other than the specified way. So here is the outcome! I made some Chick Pea Cutlets using the pickle masala and the falooda seeds. But I used the tea masala just the way it is intended for. So our evening was full with a yummy and spicy snack with a cup of spicy tea (yes, it was really spicy! But we loved it). My husband was my taste tester. The first target of all my food experiments is my hubby (poor fellow). He enjoyed the snack with a great cup of tea. Drain the water of chickpeas and coarsely grind them in a blender without any water. Chop the onion into fine pieces. 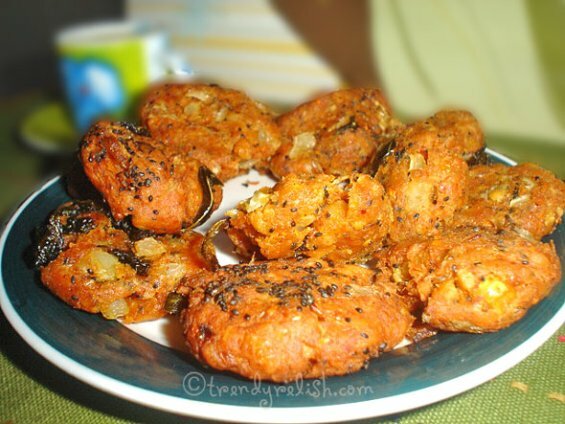 Mix everything under the ingredients except oil to make a thick batter just like vadas. Heat the oil in a deep pan. Make the batter into small patties and drop carefully into the hot oil. Fry till they become golden brown in color. Repeat the same process with remaining batter. Spread on a paper towel to drain excess oil. Serve hot with ketchup and a cup of hot tea. This makes the perfect snack for the evening. Note: If the fresh Chick Peas were used be sure to soak them in water and boil them before grinding them. Now it’s my turn to extend this friendship chain among other friends. But I am still waiting for the replies from the blogger friends that I have emailed about this. I will update both of you when I mail the ingredients. I hope you’ll have the fun as much I had with the surprise ingredient. Thank you! Meanwhile, enjoy these yummy snacks and the great tea. Wow! Those fritters look delicious!! 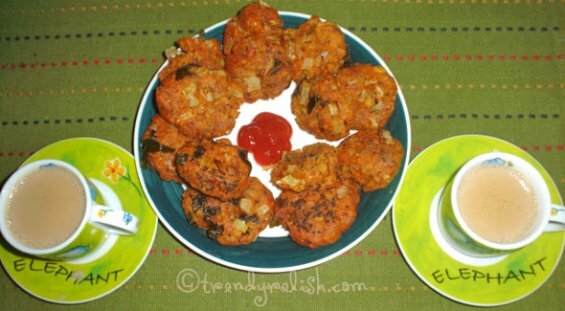 cheak pea vadas..that's nice idea..thanks for sharing this recipe. Great Job Uma.Fritters are so temptfull with pickle masala.. Interesting way of using the pickle masala...the cutlets look crisp and delish. Cute cups... and such cool ingredients. Chickpea cutlets look so crunchy and good. Great cutlets! 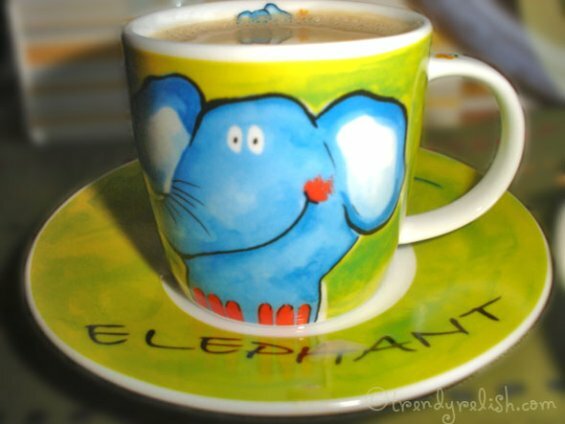 Cute Elephant Cups.. Loved everything! it looks great.cutlet is nice. graet receipe.